In the past, people used to carry large billboards to show that they care. Nowadays, that kind of action is so passé. Instead, showing your point-of-views while looking stylish with your accessory is the trend in today’s society. Besides, it is also the easiest way to have people put more interests in you. These earrings will surely assist you in reaching your goals. 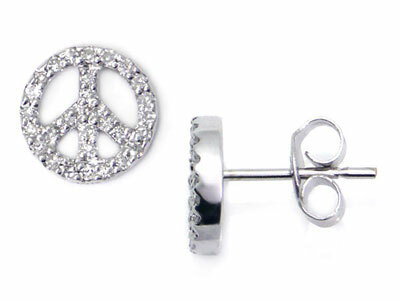 With the sparkling diamonds on the white gold earrings, you’ll look fabulous.